Getting trained in CPR and first aid has become very popular over recent years. With emergencies happening left and right without warning, it pays to be trained even in basic CPR and first aid. You don’t know when the skills will come in handy and potentially save someone’s life or at least prevent any complications from an injury. There are a number of providers that have CPR and first aid training, but none as good as us. We have providers in six locations all over the country. All of them have the same programs and rates that can’t be beaten by others. Enrolment is quite easy as well; just visit any of the location pages and fill out the enrolment form with your personal details and options for training. E-mails telephone calls, and walk-ins can also be used to sign up for a training program. CPR training credentials are awarded to trainees who are able to complete their enrolled program and pass the certification test at the end. The certification test is a practical and written exam, except for the general public program which just has an optional skills test at the end. Credentials expire after two years but are valid all over the country before they do. They can be renewed for two more years through a renewal program called a re-certification class. Re-certification class is available for three out of five programs at our training providers. If ever your training credential has expired before you had a chance to renew it, you have to retake the training program. There are two categories for training: basic and advanced life support. 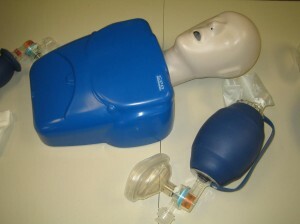 Basic life support programs teach trainees about the skills needed in giving CPR, mainly compression and rescue breaths. The BLS programs also include training with defibrillators and a few basic first aid skills. Advanced Life Support programs are complex training programs for HCPs or healthcare providers. They teach basic skills and medical management of cardiac arrest for either adult or pediatric victims. Medical management includes teaching trainees about the crash cart and the equipment and medication is contains. Because of the extensive curriculum, ALS programs take over two days to complete.